Visual Eyes is an optical store ideally located in the heart of downtown on Queen Street. 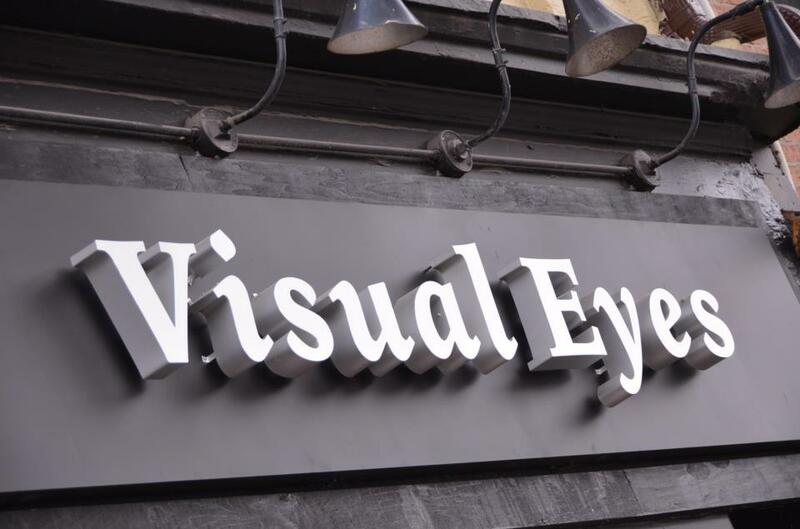 Though newly established Visual Eyes is seasoned with professionals whom endeavor to create a warm, enriching environment for customers. With a thoroughly knowledgeable and friendly staff we offer brand name styles at a reasonable, affordable price. With an Optometrist in-house, we are able to offer our customers the easy transition of getting an eye check on the spot, and then purchasing trendy lenses all in one easy step. Here at Visual Eyes we are dedicated to helping you find your perfect fit, at an ideal price.